As kids, most of us said Abracadabra at some point in our childhood. Maybe we thought this word would add some magic to our wish and make it come true. However, very few of us know the meaning of this word. Is it possible to experience your goals the moment you imagine them? Can you decrease the gap between dreaming and doing and therefore make your goals unhackable? 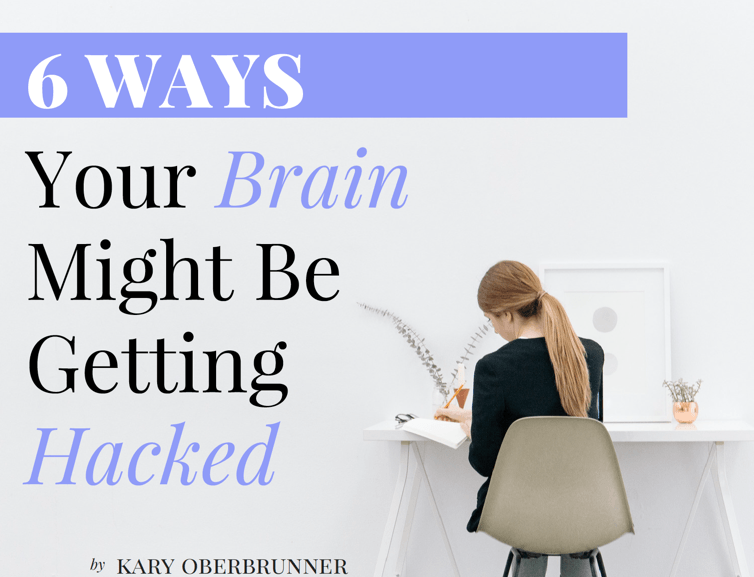 Are your Goals Getting Hacked? Ever have an amazing idea? If you’re like most people then you started out excited, ready to implement that idea. But then something happened. Chances are you and your dream got sidelined somewhere along the way. Maybe you just lost focus? If you’ve experienced this, then you’re not alone. And unless you find a solution, then you will repeat the same pattern. As a result, you’ll stay stuck and frustrated. 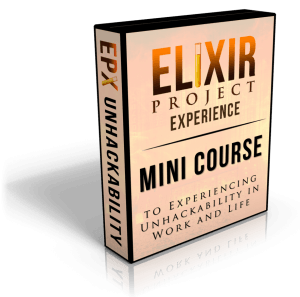 Isn’t it time you discovered how to become unhackable? Just like phones and computers get hacked, people get hacked too. Your body is comprised of systems. Your brain is like a computer. As a result, you get hacked. Often! The majority of people agree that other people and things often gain unauthorized access of their ideas, dreams, and goals. THE PROBLEM = We serve thousands of clients from dozens of countries. But, several years ago, we noticed a disturbing trend. 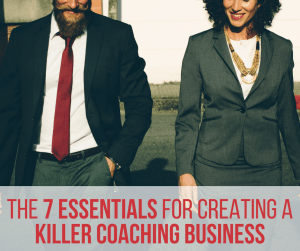 Although many of these clients began with the best intentions and the clearest directions, somewhere along the way they got sidelined and sabotaged. Somewhere between ideation and implementation, they got hacked. THE SOLUTION = This bugged me. I knew I couldn’t rest until I found out why. So, I set out on a mission to identify the problem and then hopefully a solution. Then, I unpacked the elements of my own idea achievement. I also took a deep dive into neurobiology, productivity, high performance, success science, technology, and many other disciplines. 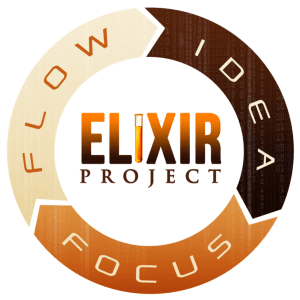 THE PARADIGM = In the process, I discovered what I call the Elixir Project Paradigm. It includes Idea, Focus, Flow. These 3 components—Flawless Idea Anatomy, Deliberate Magnetic Focus and Optimal Human Performance—are the essence of Unhackability. Ideas don’t change the world—perfect ideas do. Although everyone inherently knows not all ideas are created equal, only a small minority understand the specific components that make up flawless “idea anatomy.” You can architect and integrate the perfect idea for your work and life. Don’t believe the hype. And don’t focus on attracting into your life what you want. Instead, focus on what’s already all around you. Instead, open your mind’s eye and you’ll see everything you need to implement your idea. Unlearn the 3 Focus Flaws that drastically weaken your results. Architect FLOW and silence your inner critic. Go on the offense by changing the rules of the game and embrace FLOW as a way of life. Up until now, most people settled for working harder or smarter. But, what if you could achieve more by working less—like 500%? FLOW is possible for everyone, at anytime, in any place, pending the right conditions. 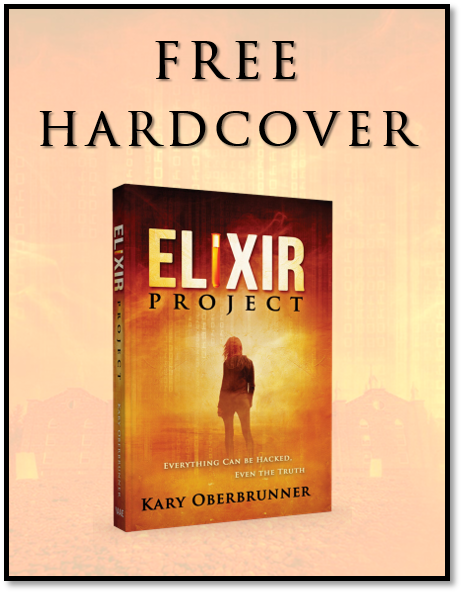 Wendy Gentry is just one of the hundreds of people who have gone through the Elixir Project Experience. 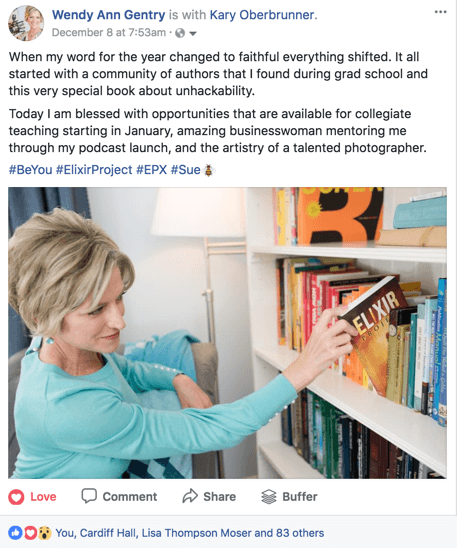 I saw so many amazing updates about her becoming Unhackable and achieving her goals (see the post below). I knew I had to interview her on the podcast below AND on this special unedited facebook live video. 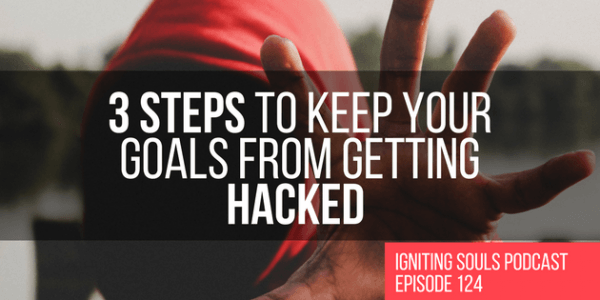 In today’s podcast I share the 3 steps to keep your goals from getting hacked. (Listen to this episode via itunes, audioboom, or stitcher). In a society of increasing distractions, Unhackability is the new secret weapon of super achievers. Do these sound familiar? Wish you could finish projects? Struggle with distractions? Do your dreams and goals always get pushed aside? If so, you’re not alone. Tap into your hidden abilities and become 500% more productive in work and life. Our brand new FREE e-book reveals 6 mind blowing facts about how to make your best ideas come true. In a world of distractions, Unhackability is the new secret formula of super achievers everywhere. Please consider rating the podcast with 5 stars and leaving a one- or two-sentence review in iTunes or on Stitcher. This helps tremendously in bringing the podcast to the attention of others. I am also mentioning the names of all who rate the podcast with 5 stars in future episodes. Furthermore, we encourage you to join the Igniting Souls Tribe on Facebook. It’s a community of like-minded influencers as well as listeners of the Igniting Souls Podcast.